Teheran (AsiaNews / Agencies) - "I request that the 40th year of the revolution, the coming year, be the year of unity. 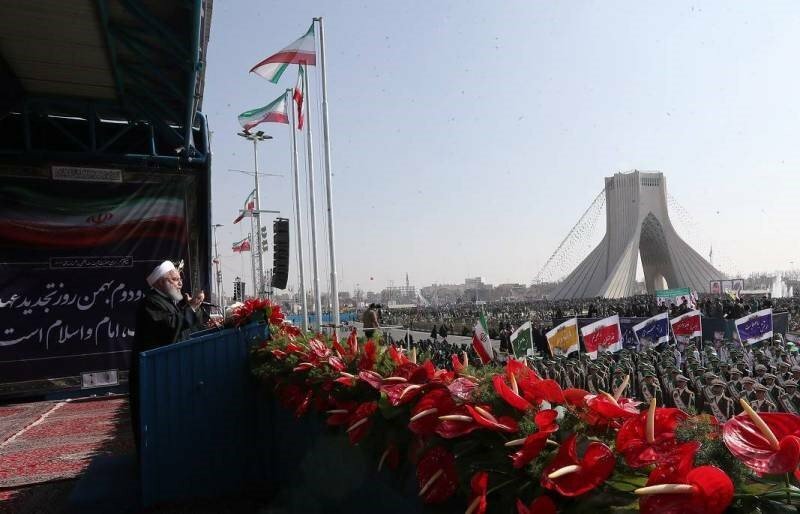 I ask conservatives, reformists, moderates and all parties and all people to come and be together": This was the appeal that Iranian President Hassan Rouhani made yesterday to the crowd gathered in Tehran, during a speech for the 39th anniversary of the Khomeini Islamic revolution. Rouhani's request comes after a turbulent beginning of the year for the Islamic republic, devastated by protests in which at least 25 people have lost their lives. For days, the Iranian president has been pressing conservatives to see the protests and discontent in the country as a driving force for change: "We should trust the people. We must allow all inclinations to participate in elections," Rouhani continued. " Our revolution was victorious when we were all together... All Iranian races, all Iranian religions, Shiites and Sunnis, Muslims, Christians, Jews and Zaroastrians -- whoever believes in the constitution, that is our criteria. He is a revolutionary and he must be respected". Rouhani also opens up to the possibility of holding a referendum - allowed by art. 59 of the constitution, but in disuse for decades - on "differences of opinion": "Bring the ballot box and according to the article 59 of the constitution, whatever people say, act accordingly ". His words found immediate support on social media, where numerous tweets appeared with the hashtag #referendum. The president did not specify which issues could be addressed by referendum, although it is likely the reference to the debate on social liberties, ignited by the protest of the Iranian women against the obligatory veil.